Have you ever been complimented on your fragrance? I have multiple times, and it’s an incredible feeling receiving a genuine compliment from a beautiful woman. Take a look at Best Men’s Cologne for 2017. Just yesterday I went out with a friend to a bar and accidentally bumped into a lady at the bar. I apologized and she just turned around and smiled at me and said, “You smell really nice.” Yeah, I know that I’m a married man, but I really felt good about the beautiful remark the lady gave me. That is why great cologne matters. They are great and easy way to get women attracted to you. It will make you feel more confident and attractive once you find your smell. Often it can also become a companion in life, once you find just the right one you will likely want to stick to it. Consistently smelling sweet is a great signal you want to send. Today, we will provide you with our best Colognes list and answer how you can find the right fragrance for you. These are the most selling colognes that you’ll find on market. 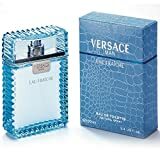 The Versace Man Eau Fraiche is a fresh and slightly spicy scent that will help you make the first impression with its natural and unique scent. The Man Eau Fraiche for Men has garnered a lot of compliments from users because of its amazing fragrant. The scent is unique and stands out from its competitors. When you first open this scent, you are going to be greeted with a dose of Lemon, as well as a dose of Tarragon. The inclusion of Lemon gives it that new hotness and also amplifies the freshness. Tarragon, on the other hand, neutralizes the acidity of the lemon. You’ll also have the backbone of sea wood that compliments the composition. However, the scent serves only for casual occasions. There’s nothing super formal about this scent, and it doesn’t last long. But it smells great and has a universal appeal. People are going to love this on you. Nobody is going to tell you that your cologne is too strong. Of course, you are not going to choke anybody out with its Fragrance. The cologne is a summer scent, and it goes well with heat. Anyone can wear the scent, but it does have a youthful appeal. Top notes include Rosewood, Lemon, and Carambola. Bottom Notes are Musk and Stage. It appeals to a wide variety of audiences. The smell is not too strong, and it’s not too light. The cologne may be too simple for some guys who prefer a more formal fragrance. The cologne lacks enough projectivity: it can easily be defeated by a stronger scent from someone else. My wife bought this scent for me on my birthday because she wanted me to smell sweet and natural before leaving for work. And I fell in love with this fragrance because of its fresh, unusual smell. The cologne comes with this sweet vibe that stays with a nice fruity plum were it just smells great and different. The body spray is extremely safe, and every girl likes this fragrance. The fragrance comes with a youthful appeal but can be worn by any man of any Age. The classic scent is a summer fragrance that is not too strong or overpowering. You can easily wear it on casual occasions or to work. However, most guys think this stuff smells like soap. It’s just like you just get out of the shower. But I believe they’re trying to explain its natural fragrance and the unique scent that this concoction has to offer. The scent is extremely affordable and comes with a youthful and masculine appeal. The scent is clean and not complex or overpowering. The scent comes with an attractive design and packaging. The product is economically priced, cheap and affordable. It doesn’t last on you for a longer time. It can last you for 1-3 hours. The fragrance won’t do well in hot weather. It will evaporate too quickly. Some still think it smells like soap. I remember when I was having a chat with a colleague at the office that I’m going to be reviewing one of his sweet fragrances that has always kept us talking: the Montblanc Legend Scent. I must tell you: as the name implies, this fragrance is legendary. If you’re looking for a pure fragrance that will make you feel so confident, charismatic, and seductive, then you should go for the Montblanc Legend Scent. The reason my wife didn’t buy this cologne for me on my birthday was that this scent has a seductive power. 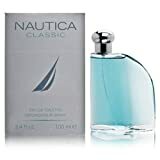 I believe that was the main reason why she bought me the Nautica Classic for Men by Nautica, which is not too intense and complicated. If you want to wear something that is a little more natural, fresh, cleaner, and more transparent, then you should go with this fragrance. The MONTBLANC Legend is a very soft the Fragrance has a fresh, sweet and spicy smell. It comes with a metallic and black colored bottle that holds this unique and fresh scent. It has a lot of great fruit which has this acidic smell composition. The product also introduces Bergamot which presents this sort of classic freshness. The Legend is a fresh, casual everyday fragrance that you can wear whether you’re going to work, or to the mall or a night out with your friends. However, when it dries down, it smells very similar to other fragrances when they dry down. The scent doesn’t have any unique characteristics that make it stand out from others. It’s just a great scent that smells superb and inviting. I must tell you: this brand has the potential to garner many compliments. If you got a client to impress, then you want to wear this at the next business meeting. The fragrance that comes out of this brand makes you look honest, creative and masculine. Middle Notes include Oakmoss, Geranium, Rose, Coumarin, and Apple. This cologne is perfect for those who are looking for something aromatic and clean. The scent can last you up to 4-6 hours. The scent is pretty versatile, and you can wear it to work or a night out. The fragrance has a fresh appealing smell. You can also wear it on a hotter weather. Anyone of age can wear it. Whether you are a teenager or in your sixties or seventies, this scent will fit you perfectly. If you’re looking for a scent that is going make you stand out among other people that have sophisticated fragrances, this isn’t that cologne. In a dry down, you’re not going to get too many base notes that will prolong enough projectivity in the fragrance. You can’t go wrong with this cologne. The scent is fresh, timeless, and appealing. The scent life of the Tommy Hilfiger men’s cologne is spotless and can stay on you for a long time. The product is perfect for any occasion and doesn’t go out of style. It comes with that smell that tingles on your nose. My friend, Tim, find this cologne intriguing and memorable. He has garnered a lot of compliments from ladies because of the sweetness and freshness that come from this fragrance. I’m not surprised he has made this cologne his favorite because he gets a lot of good comments from people. The Tommy Hilfiger men’s cologne is a must have scent if you want to look good and get a lot of compliments. I bet when you put it on, it’s going to make you look youthful and bring back the memory of high school. The Cologne also offers a citrus aroma that is ideal for long summer days. The fresh fragrance provides a clean, calm and relaxing scent which makes it perfect for summer. It’s perfect for casual occasions like vacations and work. The base note contains a little bit of Amber, cotton, and cactus. If you are on a budget, this fragrance is what you should go for as the price is great and affordable. The cologne can last you up to 8-12 hours a day. I think that is pretty cool compared to other colognes. The scent is not too overpowering at least you are not going to choke someone off while wearing it. You can wear this cologne to any occasion of your choice. The scent is not mature and profound. It looks like it’s made for high school students. The fragrance is similar to other Fragrance that smells good and sweet. It’s not a game changer. I bought this for my younger brother who was looking for cologne that offers the Melon scent. He’s loves anything that comes with the Melon smell. So, I made a digging on the best cologne that offers the Melon scent and Usher by Usher just came in at the right time. The young Man is pretty in love with this Celebrity fragrance by Usher. He likes the fact that the fragrance offers a melon smell which has a pleasant and casual smell on him. The Usher provides that nice creamy sweetness that allows the sweetness of the fruit note to linger into the dry down. The Usher by Usher for Men is one of the few fragrances made for Men by Usher. The fragrance is classified automatically fruity, and I entirely agree with that clarification. The scent is not ground breaking or earth shattering, and doesn’t deviate from what had been done before in the industry. However, it’s a great scent that you’ll feel confident wearing for casual occasions without worrying about whether you’re going to choke somebody out. Perfect for anyone who isn’t shy of receiving lots of compliments from ladies? Top notes include Pineapple, Media, Melon, and Verbena. Bottom includes Vetiver, Guaiac wood, Sandalwood, Musk, and Amber. The Usher by Usher is a pleasant smell that will get you compliments for as long as it lasts. The fragrance can last you 4-5 hours on your skin. The scent is on the cheaper side and at the same time works great. The fragrance has a lot of versatility due to its composition. The cologne is sensual, warm and portrays a sense of confidence. I think it’s more for casual wear. I wouldn’t wear this one on a date. 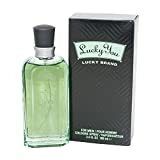 The Lucky You Lucky Brand Cologne offers a fresh musky scent. Apart from the Nautica Classic, I own this cologne, and I love its smell. What baffles me is that most women are easily attracted to this fragrance. I had received steady compliments from my friends and ladies anytime I decide to wear this one out. I think it fits me perfectly and women tend to gravitate towards the scent. Although my wife is not too comfortable with it, because of the smiles and constant compliments I get from ladies anytime I decide to wear this fragrant while we’re going for shopping. Well, that’s what you get if you choose to go for this fragrance. There’s something unique about this product, especially from the combination of Cinnamon and Mandarin, which are the leading top notes of this cologne. The scent wouldn’t be part of our pick without the intensely woody scent from Gucci. If you’re looking for something cheap that just smells good, then this one is a good pick for you. However, the product tends to be synthetic. It’s not going to smell natural to you all, but it’s not as bad as other brands that are highly artificial. I see the synthetic nature of this product to be rather pleasant and fresh. It’s a sweet and juicy fragrant with a clean feel. The cologne is an excellent casual scent you can wear every day. Uncomplicated, easy going, and a good choice for comfortable casual and day wear. Add to your collection and count yourself lucky to have found such a great scent. The Lucky Cologne is a clean musky scent that will last you all day long. The Lucky You cologne is perfect for teens and adult. Ideal for teens, first users, and men who want to get a lot of compliments from people. The Scent is more casual and masculine than formal. Smells pretty good but you’ve to spray the scent multiple times to maintain the scent. What are the Best Ways to Spray your Cologne? The best way to spray your scent is to sprinkle it on the top of your body, around your shoulders. Another good spot is on your wrist, and back of your neck. Finding the right cologne is a journey, and choosing the right one is what most people find so difficult. There are few things you may want to consider when choosing the right cologne for you. The first tip is to think about your lifestyle and the style you want to invoke with the scent. You can start off with a lighter fragrant for your day to day activities. Then, you may want to bring out those new fragrances for exciting occasions. It can be on a date or a vacation, or maybe in the weekends. Since scent is mostly related to memory, you can invoke those special occasions every single time you wear them. Like in summer you could wear something that’s light and fresh. Then, in the winter, you can wear something warm, cozy and sensual. One of the things you may want to put into consideration is to note the time you’re going to be wearing your cologne. The reason for this is because some cologne does well during the day and others during the night. So, you may want to consider cologne that is lighter if you want to wear it during the day. If you are attending a board meeting or you have an appointment with a client, the kind of cologne you wear should exude your profession. So, the kind of fragrance you want to wear for a business meeting shouldn’t be same with the one you put on for casual wear. A fragrance that features musky colognes will fit in the box for formal wear. But if you’re a sportsman or just hanging out with friends, then colognes that bring freshness like citrus would fit in perfectly. Also, if you’re going on a date, then cologne that come with aphrodisiac properties will be a perfect match for social gathering. What more can I say? I have just introduced to you the best Cologne you can find on the market that will give you the best desirable smell. Right now, these products are the best selling colognes all over the world. And I guess you don’t want to miss out on these brands. So, tell me, what do you think? Do you have any fragrant in mind that you’d like to share with us? I’d also love to hear from you. Leave a comment below and let us know what you think.